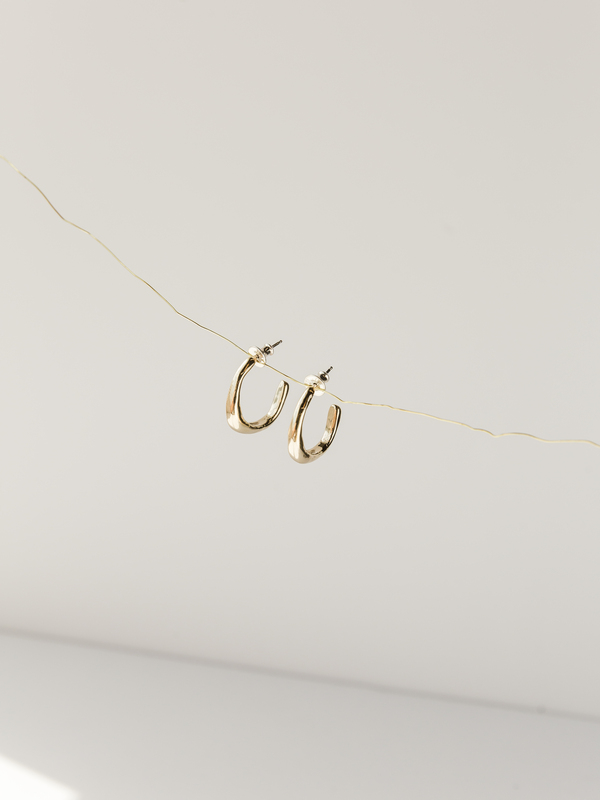 Undulating, organically-shaped hoops 1″ hoops. Old-school made modern. Christina’s first hole is our VERO Stud, the 2nd is our Small VERO Hoop, and above both is our VERO Ear Cuff. Measures approximately 1″ x 1″.